On Monday, more is coming out into the sunlight on Mayor Ravi Bhalla and his biggest money scandal to date, where tens of thousands found their way rolling down the hill to his Republican law firm pals. The scandal broke late Friday on the Hudson County View and has been gaining steam and attention since with a whining noise of RaviBots hysterically wailing their guy got caught in what every mindful Hoboken politico saw in the tea leaves prior to the 2017 mayoral election. when she promoted Ravi Bhalla as the only candidate she "trusts" to be mayor. It must be painful having chosen politics rewarding a solider with known "issues." One has to feel bad for her but does she remain silent about Ravi and his money deals? If one was among those deceived because of former mayor Dawn Zimmer's endorsement or the hate distractions strewed about leading into the despicable application of a Ravi Terror Flyer to save the day in the 2017 mayoral election, you could be forgiven. Absolution is available to you. As for those who pointed out the inevitable then and the obvious scandal now knew all along; you don't immediately break a major campaign promise and sign up with a remote Republican law firm in what was called a "no show job" unless you intend to use the office of mayor as a vehicle for this type of obvious corruption. So a whole lot of people, a few mentally challenged fanatics and RaviBots have egg on their faces. What they can't even begin to cope with is Ravi Bhalla will as many political observers suspect continue trading on the office and spit in the face of every Hoboken resident. Many who should have known better were warned and chose to buy into low brow hate and political propaganda. So forget about crazy Sybil, Nancy Pincus and the handful of political operatives from the Bhalla for mayor campaign like DangCatfish and LindaStan NumbersCruncher who talk to themselves incessantly trying to distract from their massive failures, willfully, half-blind and stupid. They were long overdue to collectively have their mental-health Rx adjusted before becoming pied pipers to impending corruption. Sad! Those fanatics and those unfortunate RaviBots owe all of Hoboken an apology but don't expect most to step up and do the right thing. Instead, Hoboken should anticipate more wailing and gnashing of teeth as they fail to make any coherent argument how their hero got caught a la Peter Cammarano with his hand in the cookie jar. They're not too crazy to blame others for making Ravi do it. Poor Ravi, woe is him. Yes, they're that nuts! There's nothing you can do for any of those miserable people who are stewing like turds in a punch bowl of their own creation. That Councilman Peter Cunningham with Councilwoman Tiffanie Fisher joined City Council President Jen Giattino after the mayoral race choosing to stand apart as an independent good government trio of three on the City Council is more laudable as additional sunlight illuminates and seeks to disinfect the corrupt rot that is the Ravi Bhalla Administration. 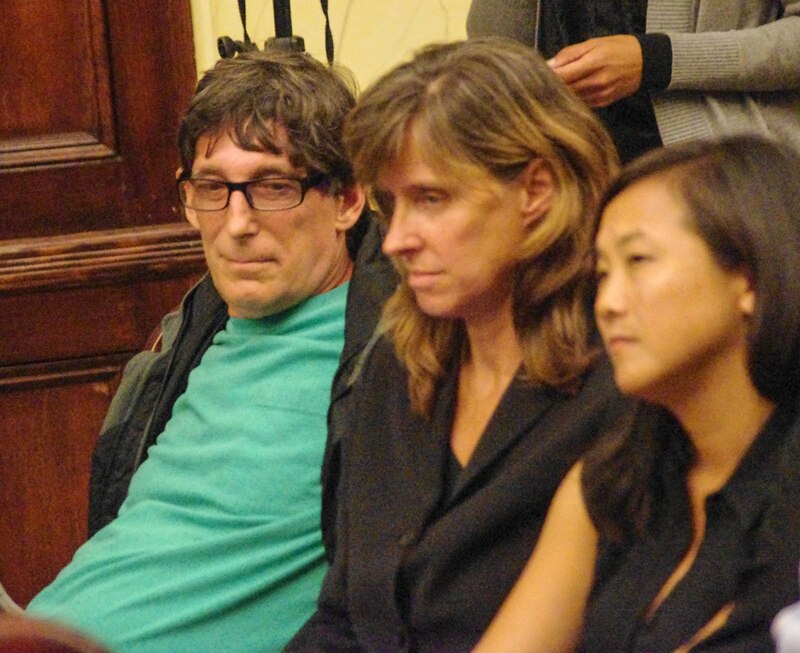 Their independent posture to defend Hoboken is self-evident and merits further support. They were right. They knew. Now all of Hoboken does too. This Horse Sense editorial is dedicated to my brother Dino, who never backed down on principle to any band of howling hyenas.